THR partnered with HPD to showcase the B-Spec Fit developed specifically for Rally competition at the second round of the Rally-America National Championship. The B-Spec Rally Fit started the 2014 season with a win in the B-Spec Championship at the Sno*Drift rally. 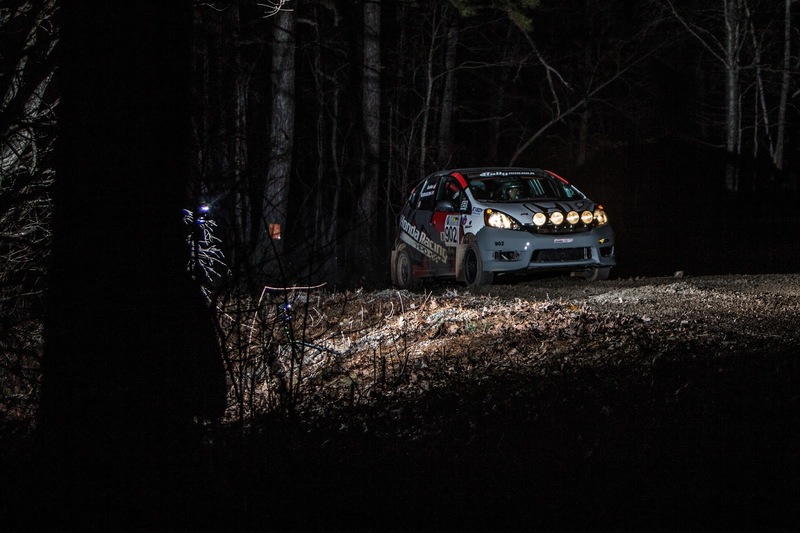 “We were excited to get the season started with a win, and also to make it through the challenging snow and ice event without any issues,” Robinson said prior to traveling to the 100 Acre Wood Rally. Based on the experiences from 2013, the team was hopeful to repeat its success in the fast gravel event held in Missouri. HPD and THR started the second round of the 2014 Rally-America championship series with a lot of excitement. Starting out on the mostly dry and fast roads, the Fit was able to build up a five-minute lead over the other B-Spec Toyota Yaris. Moving into the second day of competition, which included nine new stages, the B-Spec Fit continued to grow its lead over the Toyota Yaris. By afternoon, conditions had warmed enough for the team to gain some additional time. “The afternoon stages really felt good for us, and we are able to push the pace of the Fit to its limit,” said James. 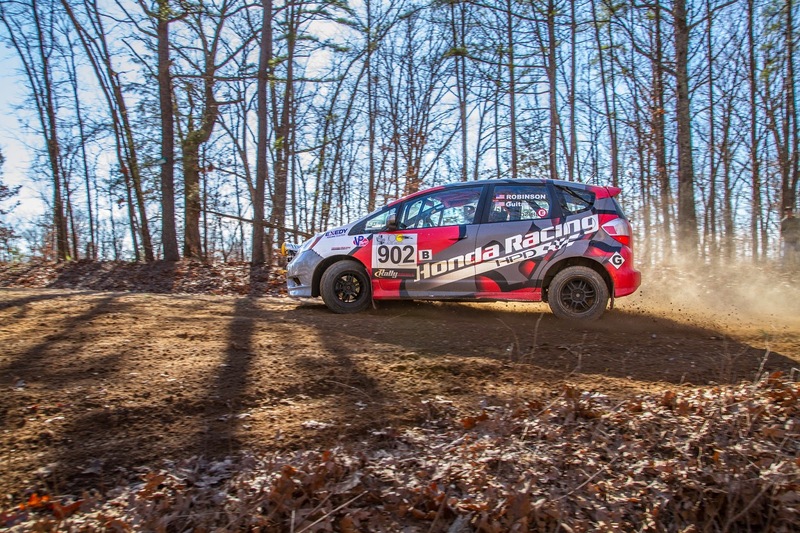 Finally, the B-Spec Honda Fit was able to hold off the Yaris and claim victory in the second round of the 2014 B-Spec National Championship. The Fit finished fifth-fastest overall in 2WD, and averaged 20.2 MPG over the course of the entire event. Look for the Honda Fit at the next round in Orgeon! The Rally in the 100 Acre Wood is the second race of the Rally America National Championship and is known as one of the most scenic. Named after the storybook home of Winnie the Pooh, the Rally in the 100 Acre Wood is a picturesque race with enough twists and turns to test every driver’s ability. Set in the foothills of the Ozark Mountains of Missouri, this race is always a favorite due to its pristine surroundings and fast, tight roads. Although you won’t see Winnie the Pooh or any of his friends, you will see some of the best rally driving on some of the best rally roads in North America.